Matthew D. McDonald, DO, FACS, has joined Samaritan Hospital Bariatric and Metabolic Care in Troy, New York, a practice of St. Peter’s Health Partners Medical Associates. 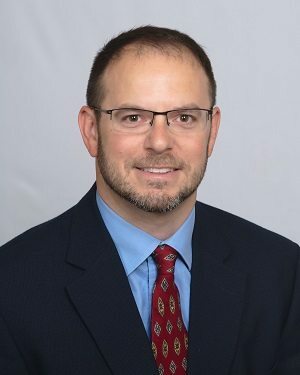 Board-certified by the American Board of Surgery, Dr. McDonald will practice bariatric and general surgery with laparoscopic, robotic, and endoscopic minimally invasive surgical techniques. His professional interests include obesity, advanced endoscopy, minimally invasive procedures including robotic surgery, and general surgery such as GERD/reflux surgeries, foregut surgery, hernias, and abdominal wall reconstruction. Previously, Dr. McDonald served from 2012-16 as an assistant professor of surgery at State University of New York Upstate Medical University in Syracuse, New York. From 2010-12, he was director of bariatric/minimally invasive surgery at Saratoga Hospital’s Center for General and Minimally Invasive Surgery. From 2008-10, he was chief of general surgery, bariatric surgery, and critical care at Keller Army Community Hospital at West Point, New York. Dr. McDonald is a veteran of the U.S. Army. Following the completion of basic training in 1998, he served as second lieutenant in the Army, and was promoted in to captain in 2001 and major in 2007. During Operation Iraqi Freedom, Dr. McDonald served as director of trauma for the 86th Combat Support Hospital deployed to the city of Mosul in northern Iraq. Dr. McDonald received his medical degree from the New York College of Osteopathic Medicine in Old Westbury, New York. He completed a residency in general surgery at State University of New York Upstate Medical University in Syracuse. Samaritan Hospital Bariatric and Metabolic Care is accepting new patients at 2 New Hampshire Ave. in Troy. For more information or to make an appointment with Dr. McDonald, please call 518-687-9779.